Although born and raised in Pennsylvania, Shawn spent 7 years of his life perfecting his southern twang in the heart of North Carolina. But don’t let his laid-back southern style fool you; when it comes crunch time you’ll find him refining his work and searching for places to add his signature chrome accents. In fact, his extreme obsession with chrome has been coined “Magee’d” around the office. 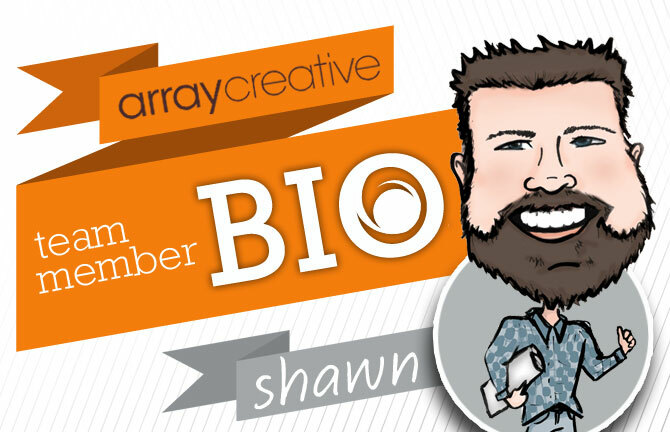 With a Bachelors degree in Graphic Design from Pennsylvania College of Technology in Williamsport, PA, Shawn has many years of design talents that he brings to the table not limited to his experience in branding and web design. When he’s not at the office, he’s at home playing zone defense on the three “Wee-Magees” with his wife, Samantha. Whatever the Rock is cookin’. Chrome. Just ask Trace Adkins. If being master of the grill is cooking, yes. Noah. My Sunday School teacher had it all wrong apparently. Sweet tea on a good day. Honey Whiskey on a bad one.